Born on May 20, 1946, in El Centro, California, Cher rose to stardom as part of a singing act with husband Sonny Bono in the 1960s, hitting No. 1 with the single "I Got You Babe" before they starred together on The Sonny and Cher Comedy Hour. Cher established a solo career of her own as well, enjoying chart-toppers like "Gypsies, Tramps and Thieves," "Half-Breed" and "Dark Lady." 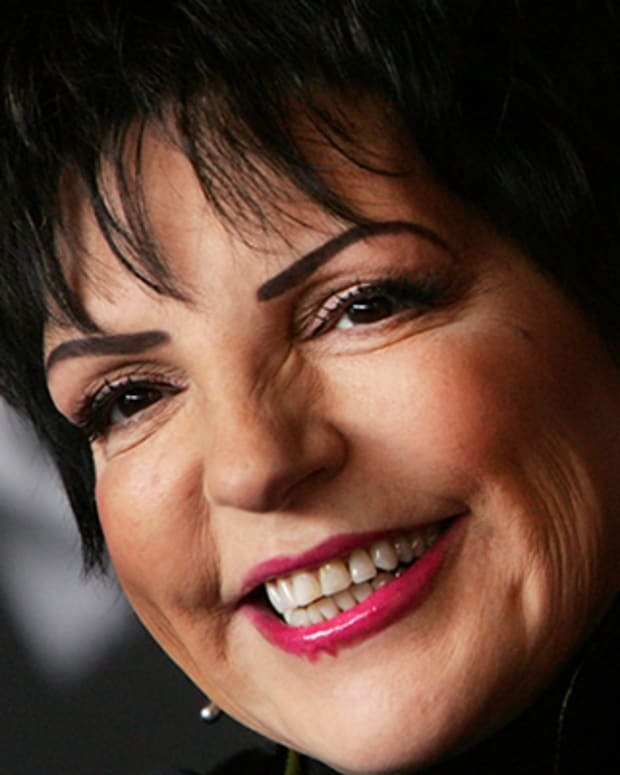 She pursued acting in the 1980s, starring in films like Silkwood and Mask and earning an Academy Award for her performance in Moonstruck. Cher also found more music success with rock-oriented tracks in the &apos;80s and a global dance hit, "Believe," in the late &apos;90s. Following her concert series at Caesars Palace in Las Vegas, the artist in 2013 released Closer to the Truth, her first studio album in 12 years. In 2018 she made a celebrated return to the big screen in Mamma Mia: Here We Go Again! 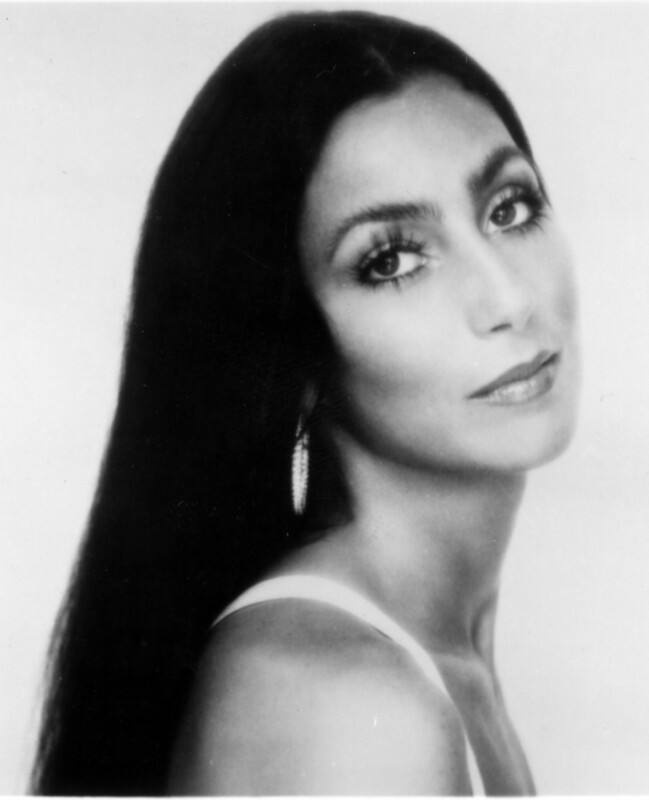 The international star known as Cher was born Cherilyn Sarkisian on May 20, 1946, in El Centro, California. 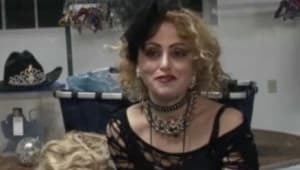 She was raised by her mother Georgia, a model and actress, and grew up in the San Fernando Valley area of Los Angeles County with younger half-sister Georganne. The family struggled financially, with Cher having been placed in an orphanage at one point while her mother looked for work. Nonetheless, she knew from a young age that the world of arts and entertainment spoke to her and took up acting as part of her extracurricular activities. Cher left high school at 16 and moved to Hollywood. 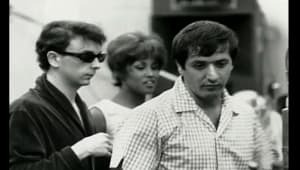 She reputedly met Salvatore “Sonny” Bono, who was a protégé of iconic producer Phil Spector, at a coffee shop. 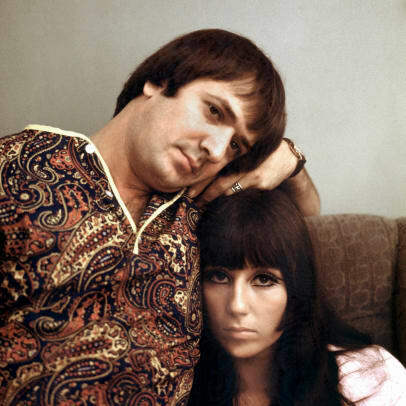 (Cher in fact sang backup on such famed Spector songs like the Ronettes’ “Be My Baby.”) Though Sonny wasn’t initially interested in Cher romantically, the two developed a romantic relationship and eventually wed on October 27, 1964. But behind-the-scenes tensions were high, and Cher would later describe Sonny as being a rigid, controlling entity when it came to business. The couple divorced the following year, and Cher had her own Emmy-nominated self-titled TV show which ran from 1975-76. 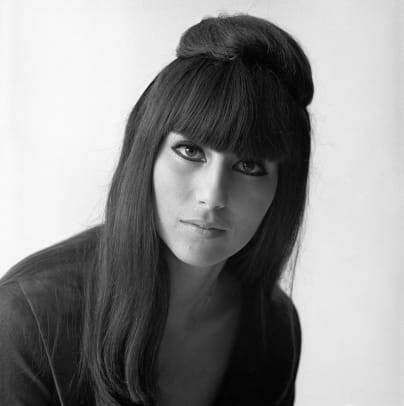 Cher had started to establish herself as a solo artist during the 1960s. Early on she was known for songs that were provocative in their sensibilities and spoke to her perceived status as an outsider, a mode she would come to embrace over time. She enjoyed a top 10 hit with “You Better Sit Down Kids,” in which she sang from the perspective of a father explaining the realities of a marital split to his children. For the 1971 album Gypsies, Tramps and Thieves (originally called Cher), she had the first No. 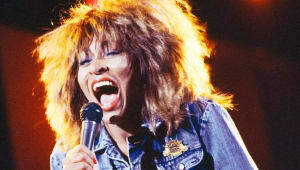 1 solo hit of her career with the title track, which spoke of a “travelin’ show” family and teen pregnancy. Another top 10 hit, "The Way of Love," found Cher singing to a lover who’s left her for a man. And she reached the top of the charts yet again with the title track from the 1974 album Half-Breed, which presented the ongoing persecution of a partially Native-American narrator stuck between two worlds. Immediately after her divorce from Sonny, Cher was unable to work as a performer due to contractual entanglements from their business relationships and took on gigs as a model. 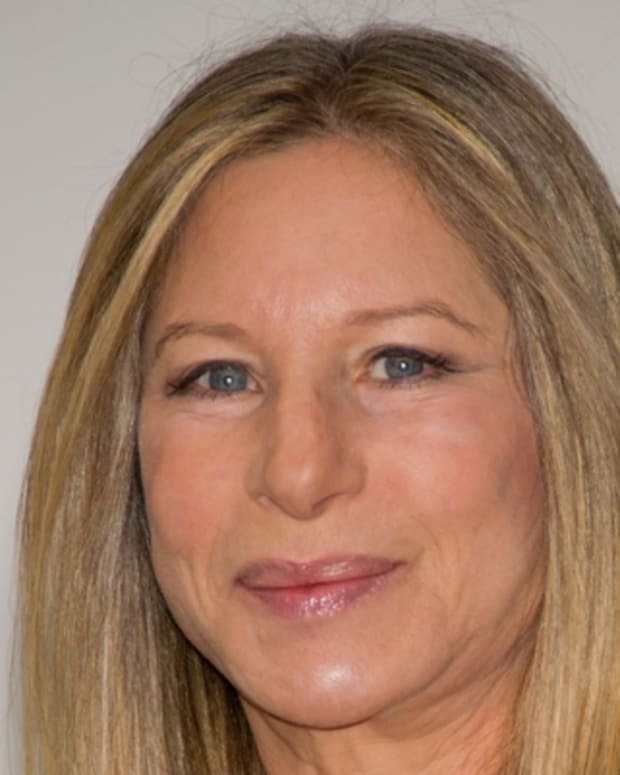 She later credited executive David Geffen for helping her navigate financial matters and take control of her career. Cher was again able to reach the pop top 10 by the end of the decade with the string-laden disco number “Take Me Home,” from the 1979 album of the same name on the Casablanca label. Having appeared in a handful of screen projects previously, Cher seriously pursued an acting career in the 1980s. 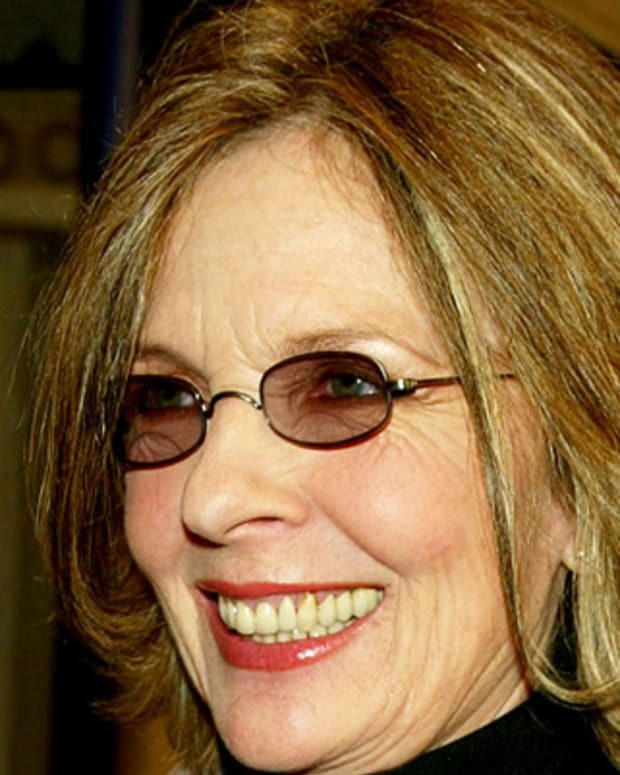 She appeared on Broadway in the play Come Back to the 5 and Dime, Jimmy Dean, Jimmy Dean in 1982, and reprised the role of Sissy in its film adaptation. 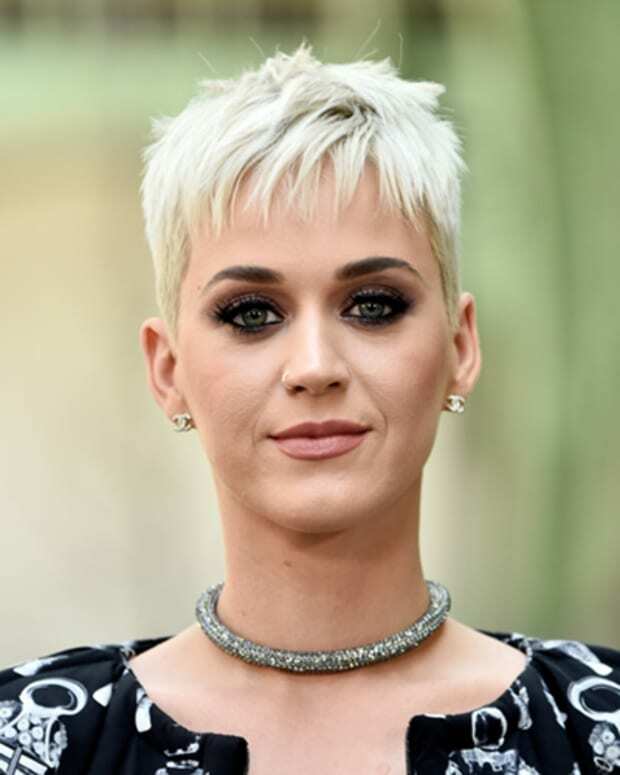 She continued to earn the respect of critics and fans alike by turning in a number of strong big-screen performances, taking on the role of Meryl Streep’s lesbian roommate Dolly Pelliker in the 1983 drama Silkwood. Cher earned a supporting actress Academy Award nomination and Golden Globe for the role. 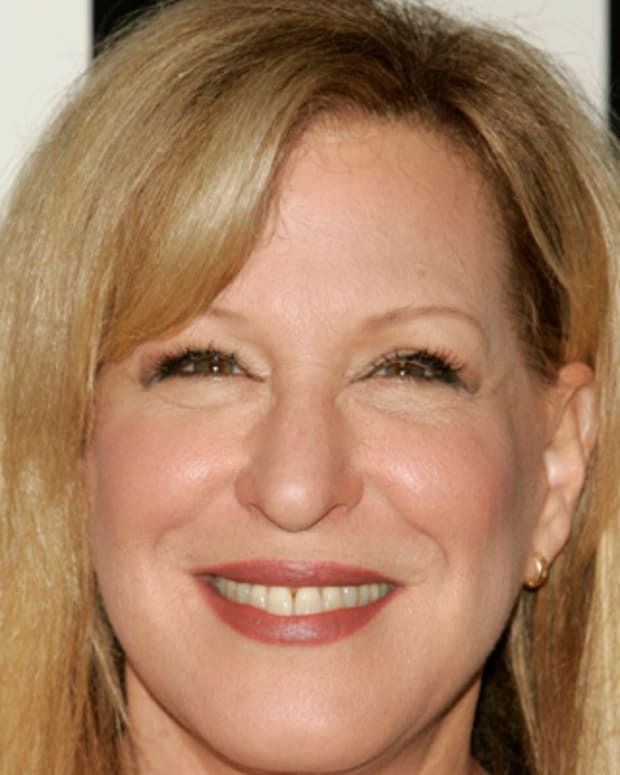 Then in 1985 she starred in the Peter Bogdanovich film Mask as the defiant, emotionally struggling mother of a son with craniodiaphyseal dyaplasia, which radically alters the shape of his face. 1987 was a banner year for Cher which saw her starring in three films: the thriller Suspect (with Dennis Quaid), the mischievous supernatural romp The Witches of Eastwick (with Susan Sarandon, Michelle Pfeiffer and Jack Nicholson) and the textured romantic comedy Moonstruck, which also starred Olympia Dukakis and Vincent Gardenia. Cher portrayed Loretta Castorini, an Italian New Yorker who reclaims her sensuality and goes against convention when pursued by the passionate brother (Nicolas Cage) of her fiancé (Danny Aiello). For a widely acclaimed performance in what has become a movie classic, Cher won her first Oscar for Best Actress. Even with the acting accolades, Cher returned to the music business. During the same year of the release of Moonstruck, she released a self-titled album, which featured the pop/rock top 10 comeback “I Found Someone,” an emotional testimonial to new love. More power rock followed with the 1989 album Heart of Stone, which offered two more top 10 hits — “If I Could Turn Back Time” and “Just Like Jesse James.” The music video for “If I Could Turn Back Time” particularly caused a stir, with the singer appearing in a leather jacket and sheer body stocking, serenading a crowd of ecstatic sailors on a military carrier. The outfit was deemed so controversial that MTV would only air the video during nighttime hours. Over the years, Cher has not only pushed sensibilities with her music but also with her extravagant, unusual costumes and barely-there accoutrements. 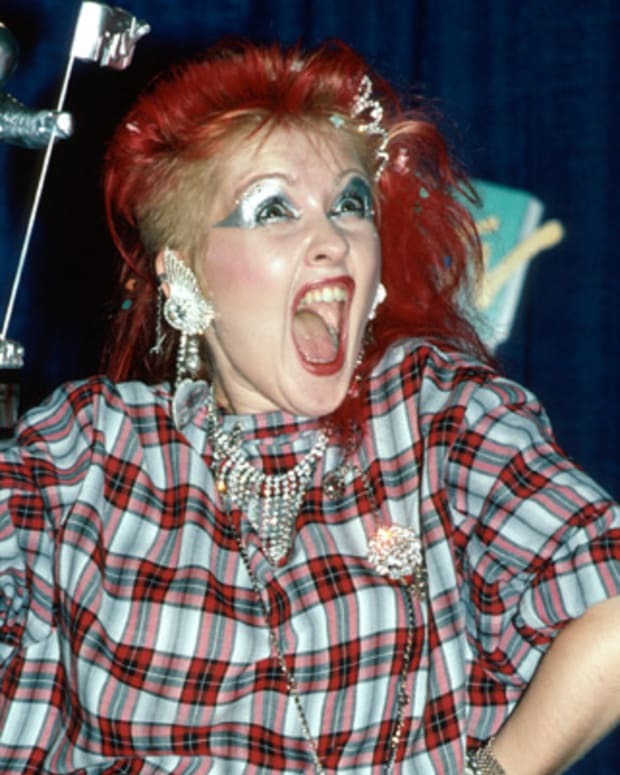 She has routinely worked over the decades with designer Bob Mackie, who has created a series of outfits for the star that are theatrical and unabashedly fun. Cher has also sometimes aimed to make a point with her attire, purposely wearing to the 1986 Academy Awards ceremony a famed black chain-link halter and matching feather headdress, meant as a form of protest over not receiving a nomination for her work in Mask. Fast forward to the 1989 Oscars and she once again went with Mackie in a more understated approach, sporting a streamlined mini-dress with frills. By the end of the ‘80s, Cher had begun to struggle with symptoms related to chronic fatigue syndrome. She continued to do screen work off and on, as seen with the drama/comedy Mermaids (1990), co-starring Winona Ryder and Christina Ricci, the HBO film If These Walls Could Talk (1996) and the historical comedy/drama Tea With Mussolini, co-starring Judi Dench, Maggie Smith and Lily Tomlin. She later starred with popster Christina Aguilera in 2010’s Burlesque, though the movie didn’t fare well commercially, with Cher also critiquing the final product. While the ‘80s and early ‘90s saw Cher showing off her rock chops, she scored another top 40 hit with her mainstream pop cover of "The Shoop Shoop Song (It&apos;s in His Kiss)," off the soundtrack for Mermaids. And the singer once again made her presence known in the clubs as seen with her single “One by One,” off the 1996 album It’s a Man’s World. The 1998 album Believe placed the singer firmly in dance/electronica territory, with the up-tempo title track becoming a huge global hit and selling millions of copies. “Believe” also inspired an enduring trend of music producers relying on vocoders and earned a Grammy for Best Dance Recording, with the empowerment anthem “Strong Enough” reigning on the dance charts as well. Cher released her next studio album, Living Proof, in the United States in 2002, with the set having been released in Europe the previous year. The album featured the single "(This Is) A Song for the Lonely," which did well on the dance charts and was written to honor those affected by the September 11, 2001 terrorist attacks. 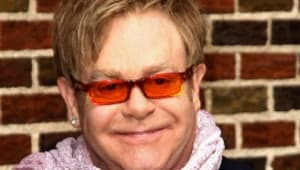 Other tracks on the album included "Alive Again" and "A Different Kind of Love Song." Following Living Proof&apos;s release, Cher said "so long" to performing live with a 325-date farewell tour, which ran from 2002 to 2005. In 2003 NBC aired one of Cher&apos;s live performances as Cher: The Farewell Tour. The program was nominated for six 2003 Emmy Awards and won three, for Outstanding Variety, Music or Comedy Special; Outstanding Camerawork, Video for a Miniseries, Movie or a Special; and Outstanding Costumes for a Variety or Music Program. In 2006 Cher auctioned off furniture, paintings and decorative objects from her home in Malibu, California, as well as a number of personal items, including memorabilia, jewelry and stage costumes. The auction brought in $3.5 million, with a portion of proceeds going to the Cher Charitable Foundation. Two years later, Cher returned to the stage, despite previously announcing plans to retire from live performances. She debuted a show entitled Cher at the Colosseum at Caesars Palace in Las Vegas on May 6, 2008, and had performed 192 shows by the end of the series, in February 2011. Cher released her first album in 12 years in September 2013. As she explained to Reuters, Closer to the Truth is "my best effort ever, so I&apos;m happy with that." 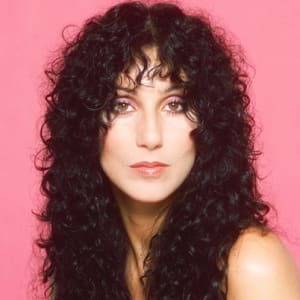 She enjoyed more dance chart success with album singles “Woman’s World,” “Take It Like a Man” and “I Walk Alone.” Cher returned to touring in March 2014 to promote Closer, but had to cancel dates due to a kidney infection. On February 8, 2017, the music legend returned to the stage, launching her Classic Cher show at the Park Theater at the Monte Carlo Resort and Casino in Las Vegas. Her tour de force performance included some of her greatest hits and costumes designed by Bob Mackie. In May 2017, the pop legend received the Billboard Icon Award, after a high-voltage performance of her hits "Believe" and "If I Could Turn Back Time." In her acceptance speech, she spoke about the longevity of her music career: "So, I&apos;ve wanted to do what I do since I was 4 years old. And I&apos;ve been doing it for 53 years. That is not an applause thing, I&apos;m 71 yesterday. And I can do a five-minute plank, okay? Just saying." In 2018, Cher returned to the big screen in Mamma Mia: Here We Go Again!, the sequel to the 2008 adaptation of the popular Broadway production, which reunited her with her old co-star Meryl Streep. That year also brought the debut of the jukebox musical The Cher Show, which premiered in Chicago before moving to Broadway. The icon initially offered a mixed review of the production, noting it "needs work," but by April 2019 she was enthusiastic enough to perform with the show&apos;s cast on The Tonight Show. Cher is well-known for speaking forthrightly about her beliefs and experiences, with Streep pointedly stating that the fellow singer/actress refreshingly lacks traditional showbiz veneer. 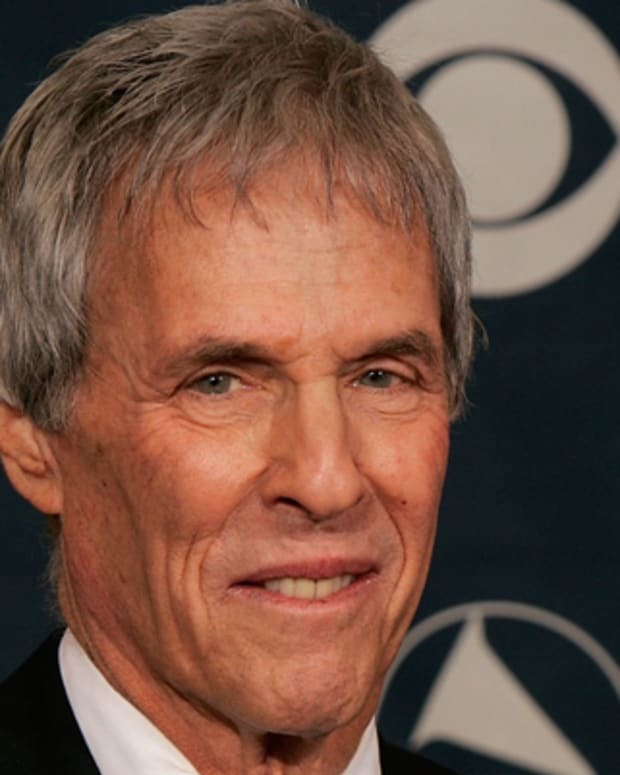 Cher dated actor/director Warren Beatty during her teen years and later was romantically linked to Geffen, actors Tom Cruise and Val Kilmer, musician Richie Sambora and actor/pilot Robert Camilletti. Married twice, Cher has two children: Her son, Chaz Bono, who was originally named Chastity and underwent female-to-male gender transition in 2008, is from her first marriage to the late Bono, who died in a skiing accident on January 5, 1998. Son Elijah Blue Allman, born in 1976, is from her relationship with musician Gregg Allman, to whom she was briefly married. In 1998 the singer/actress published her memoir The First Time, as told through a series of short essays. Cher, her mother and her sister were also featured in the 2013 Lifetime documentary Dear Mom, Love Cher, which goes into their family history.